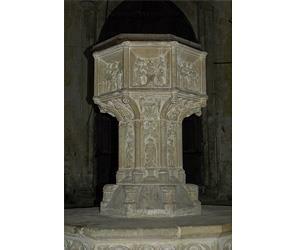 Educational Visits at Binham Priory Church & Monastic Precinct01328 830940workEducational VisitsA 900 year old parish church with Benedictine monastic ruins. A 900 year old parish church with Benedictine monastic ruins. Interpretation panels and displays. Range of activities. Regular guided tours. Easy access. Toilet facilities. Car park. Open daily. The 'Binham Priory Access and Conservation' project completed in 2009 has received the following awards. 1. The Graham Allen award for Conservation and Design from North Norfolk District Council, 2. The Council for the Protection of Rural England award for Architecture, 3. The Royal Institute of British Architects in the East of England runner-up in the Heritage section 'Spirit of Ingenuity '. School parties are requested to make a donation of £10 towards our maintenance costs. Binham Priory is 5 miles SE of Wells next the Sea in NW Norfolk. A turning off B1105 (between Wells and Little Walsingham), to Warham and Binham.